Whether you cook shrimp by boiling, grilling or sauteing, you have two options for storing it: the refrigerator or freezer. In either case, shrimp is much more delicate than poultry or meat and stays good for a shorter period of time than those other foods. shrimp farmed in certified safe farming systems. Look for certifications on frozen shrimp bags from groups like the Marine Stewardship Council and Aquaculture Stewardship Council, or ask your fish seller whether the fish for sale have these types of certifications or are from these sources. Fresh-cooked shrimp stays safe to eat for three to four days in the refrigerator whether it is shelled or unshelled. Wrap the shrimp tightly with plastic or place it in an airtight container, and ensure that your refrigerator is set to 40 degrees Fahrenheit or lower. If your refrigerator functions properly, you don't need to cool the shrimp before refrigerating it, according to the U.S. Department of Agriculture Food Safety and Inspection Service. Cooked shrimp stays good for three months in the freezer, wrapped in freezer-grade plastic or foil. 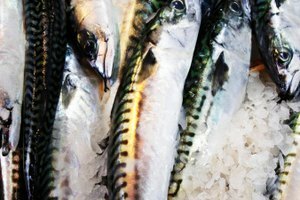 The fish will actually stay safe to eat indefinitely in the freezer, but its quality suffers after three months. 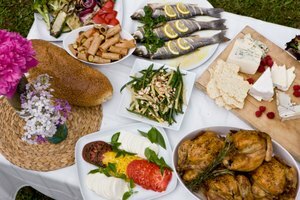 If you know that your power has gone out at any time, toss out the shrimp and any other perishable items in your freezer, such as meat or dairy products. 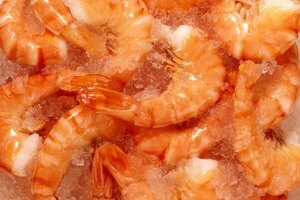 Defrost frozen shrimp in the refrigerator to help ensure that harmful bacteria don't have a chance to grow. Throw the shrimp away if it smells funny to you or if it appears slimy after it thaws. Make a shrimp cocktail with homemade cocktail sauce created from ketchup, lemon juice and chili powder. Add the shrimp to a quesadilla with either cheddar or jack cheese and salsa. Turn clam chowder or potato soup into a fish feast by adding the shrimp, either whole or roughly chopped. 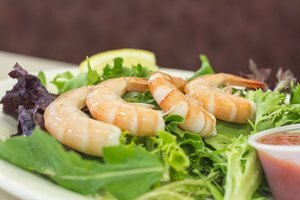 Transform a salad into a meal by putting a generous 1/2 to 3/4 cup of shrimp on top. Create your own stir-fried rice by putting chopped shrimp into the rice along with chopped green onions and finely diced carrots. Stir the shrimp into a sauce for pasta, and serve the shrimp chopped or whole. How Long Will Shrimp Stay Fresh in the Refrigerator?